Shanghai Livingston American School welcomes teachers, paraprofessionals and administrators to join a collaborative team recognized for making a difference in the lives of students and committed to creating future innovative paths to success. We offer our staff a small school setting in which to work, strong team support, low staff/student ratio, professional advancement opportunities, professional development, competitive salary, health insurance and housing allowance. 1. A completed SLAS Application Form (Teacher). 2. A completed SLAS Teaching Style Inventory. 3. A current professional resume. 4. A minimum of three(3) recent letters of recommendation (may be included in university placement file). 5. A university placement file, if any. 6. Transcripts and certification credentials (copies will be accepted for the application process. Originals required if employed). 7. A written statement of your philosophy of education. 8. Any other materials that enhance application. “I have thoroughly enjoyed my time working at SLAS. 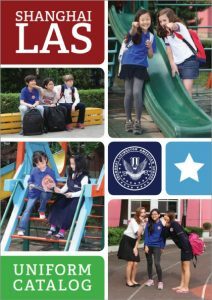 SLAS is a supportive and close-knit community that promotes positive learning environment based on addressing multiple intelligences. This school values diversity and educating its students on the value of other people and their backgrounds. The teacher support team is excellent. You are never left alone and, if you have any queries about anything, there is always somebody to ask. The staff genuinely cares about teaching and works diligently to ensure that their students are happy and successful. During my time at SLAS, I witnessed a lot of growth and improvement to the school environment, through positive recognition of staff and students, determination in getting the resources we needed and support of our decisions in the classroom. Mrs. Martinez understands her teachers and their needs; she has high expectations but also the confidence in her staff, as professionals, to teach in the most effective way. It was a great experience to be a part of the team; two years of growth that I will always cherish. The staff are knowledgeable, hard working and dedicated to contribute in any way that ensures students are receiving the best possible learning experience. They are a close group that support each other in many ways; from covering a class, collaborating on cross curricular projects and organizing school wide events like International Day, Holiday Concerts and House events. The school House system started in 2013 and I had the privilege to be a house leader for the high school students. It was such a unique program that really started to change the students involvement in school activities and create a positive ownership and pride in their school and each other. SLAS has a diverse group of students and staff from all over the world. Each culture is valued and respected. It is always a pleasure to see new friendships form across cultures and languages. It was a great experience to be a part of the team; two years of growth that I will always cherish.